"On the Web since 1997." Welcome to the GBCNET website. Here you will find a variety of resources, from California highways to computers, with anything between. I'm Casey Cooper (a.k.a. Grant B. Cooper, III), and I have authored this site since 1997. 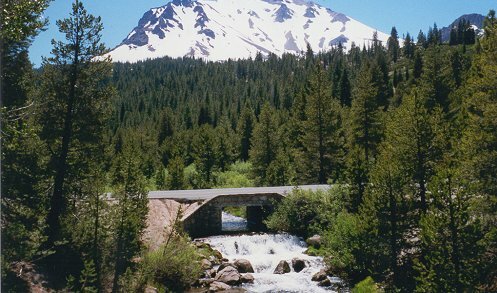 The most prominent portion of this site is about Historic US California Highways - oldhighways.com fowards to this. I have information about California Highways in general. I also maintain other useful information, which is often the result a lot of time researching a topics on the Internet. If someone else needs the information, I want it to be there for them. Since I have gotten so much value out of the Internet, I want to pay it forward. GBCNET is the domain that covers my presence on the web, with emphasis on California highways and highway history. This is my passion and there is no and will never be any advertising. As I mentioned above, I created the rest of this site to be in service of other people on the web, and it matters to me that others enjoy it without being distracted by obnoxious advertisements. If you get value out of this, my only request is you, in turn create content on the web that share your areas of expertise and interest. For any comments, please send email to: casey@N0SqAMgbcnet.com.